Este CD es el resultado de un sueño que el cuarteto Los Mensajeros tuvo – que a través de la música pueden hacerle saber a la gente alrededor del mundo que Jesús les ama y que pronto viene de nuevo. Este álbum cuenta con doce conocidos cantos tradicionales que seguramente aumentarán la esperanza del oyente en el pronto regreso de Cristo. A male quartet singing familiar traditional songs! This CD is the result of a dream that Los Mensajeros quartet had - that music could be the way to tell people around the world that Jesus loves them and is coming soon. With a dozen familiar traditional tunes this CD sure will give the listener hope that Jesus is coming soon! 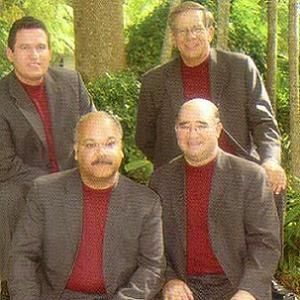 Los Mensajeros quartet was founded in February, 1990, in Miami, Florida. We have been singing together for fifteen years, in different parts of the country and outside of it. Besides this, we sing in prisons, hospitals, homes, and many other places where people need hope and faith. Now we have a dream, and it is this: that our music can be the way to tell people around the world that Jesús loves them and He is coming soon. We believe that Chapel® can help us in that purpose.